We have just started sales of the Honor 10i smartphone, and in China, they are already preparing for the release of the Honor 20i. This model should be presented at a special event in Beijing on April 17. 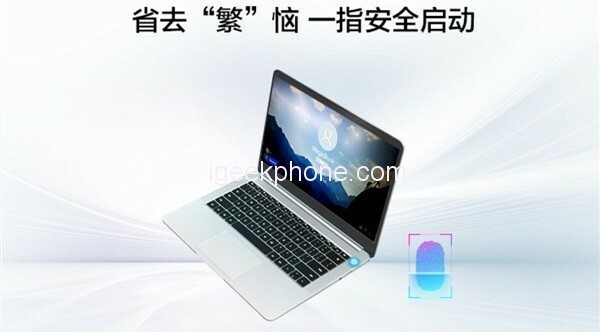 At the same time, the brand’s new laptop, the Honor MagicBook 2019, will debut with it. 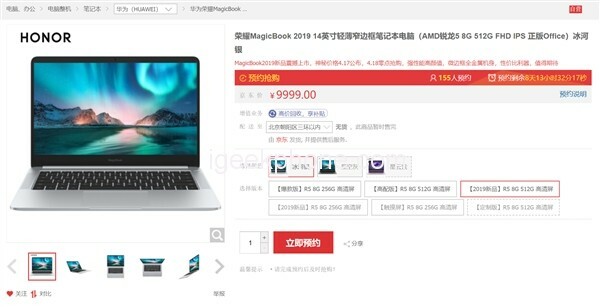 Today, Honor Magicbook 2019 has already on Pre-Sale at JD and it will be released at 0:00 on April 18, but the price has not been announced yet. This notebook has eight highlight feature includes powerful performance, thin metal body, long battery life, fingerprint unlock, efficient cooling, great sound, pre-installed Office, and mysterious new technology. 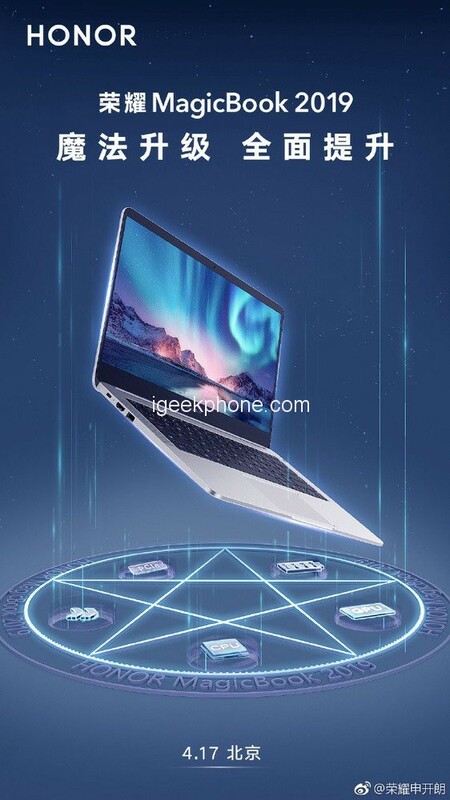 In the core configuration, the Honor MagicBook 2019 features a 14-inch FHD display, equipped with a new gene of AMD Ruilong 3000 series mobile processor, officially said its performance is 10% higher than the Ruilong 5 2500U, while carrying Radeon Vega Graphics alone Display performance, support for 4K HDR decoding, with 512GB SSD. In addition, the Honor MagicBook 2019 is equipped with fingerprint recognition, one for a safe start, simple and fast. 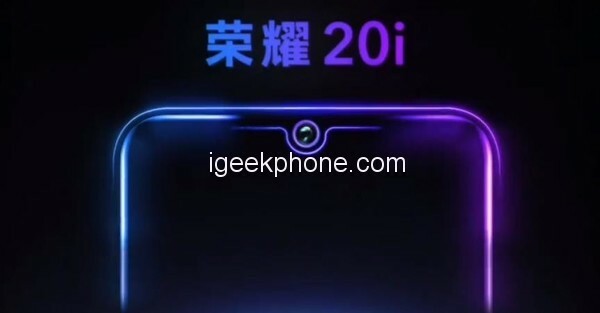 Now talking about the Honor 20i, Through a Weibo teaser video, the Huawei secondary brand has confirmed that it will launch the Honor 20i smartphone on April 17. One of its main strengths will be its self-shooting ability. The video only confirms that the Honor 20i phone will be equipped with a 32MP front camera. It could be the same selfie snapper that is available in the Huawei P30 series. 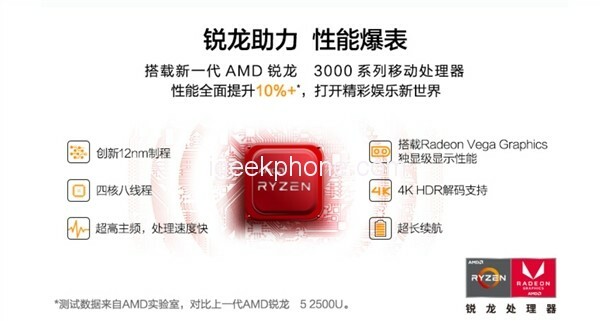 It seems that the HRY-TL00T / AL00T / AL00Ta phone that was recently approved by the Chinese telecommunications authority will reach the Chinese markets as Honor 20i. The video teaser reveals that the Honor 20i will be equipped with a water drop style notch that will house the 32MP selfie camera. According to the TENAA listing, the Honor 20i will have a 6.21-inch screen, 2.2-GHz octa-core processor, 4GB / 6GB of RAM, 64GB / 128GB of storage, 3320mAh battery and 24MP + 2MP Camera configuration triple + 8MP. The Honor 20i will be the first device in the Honor 20 to be released. The remaining models of the Honor 20 line, including the Honor 20 and the Honor 20 Pro, will be released later this month. 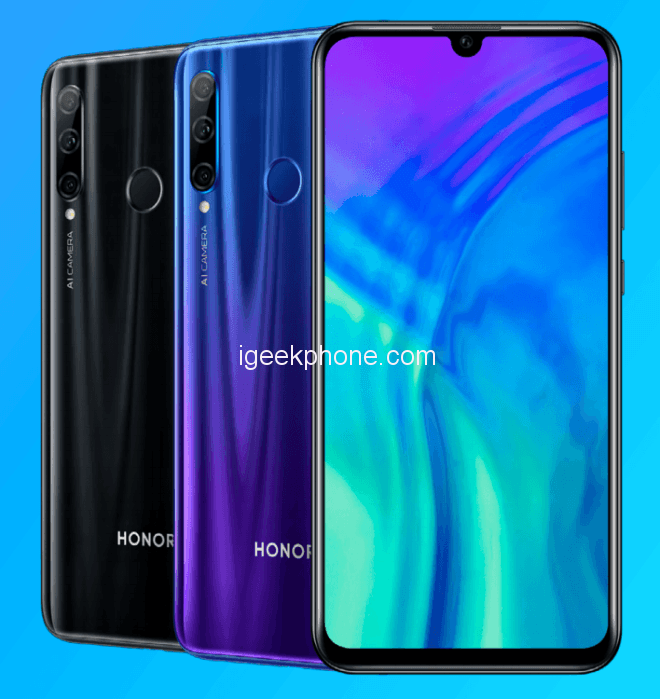 Most likely Honor 20i will be released in markets outside China under the name Honor 20 Lite.